If your vehicle is having engine or drivetrain issues and you are searching for a shop that can provide a diagnosis properly, the first time, Enormis Mobile Specialties is the place to go. We are a company dedicated to finding electrical and computer problems in a vehicle, not just throwing parts at it and hoping a problem is fixed. Since our founding in 1999 by Lou Norman, our team has specialized in the repairs most other shops run away from or don’t know how to address. Here is a perfect example for you. We met a client who had two different transmissions put into their vehicle, only to find the problem still existed. At that point, the client contacted us, looking for help. We got the vehicle into our shop and diagnosed the problem as being the transmission computer. There was nothing wrong with the transmission! As you can imagine, the cost of a computer was much lower than the cost of a transmission, not to mention the time and headache endured by the client throughout the process. Anguish and expense like this could be spared if you call us first. 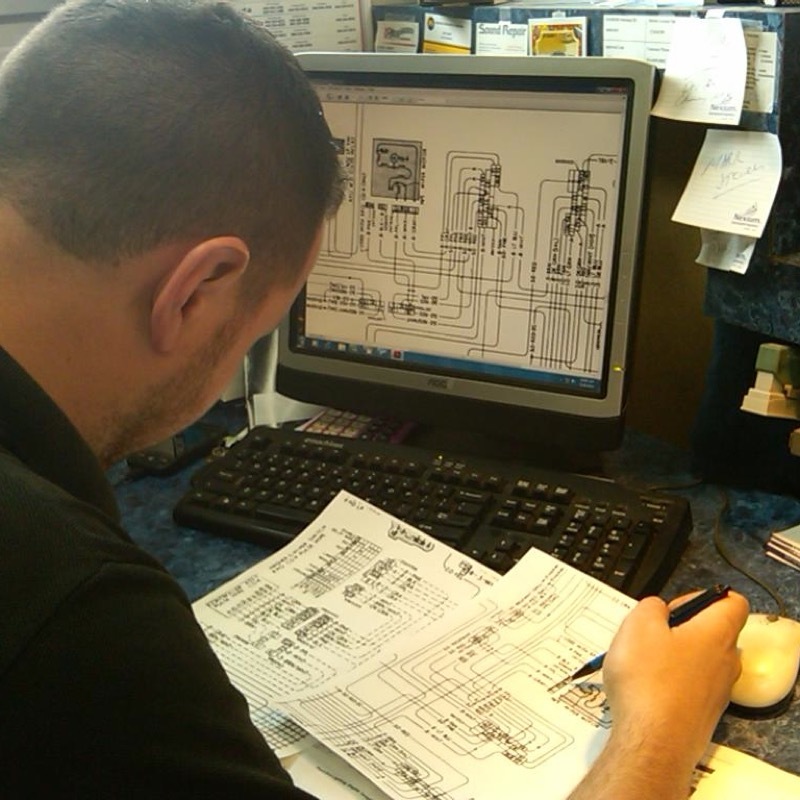 Our team is made up of the finest diagnostic technicians in northern Pennsylvania and even includes an electrical engineer on staff. We understand vehicle networks like CAN-BUS and MOST, and aren’t afraid of them – rather, we embrace them. 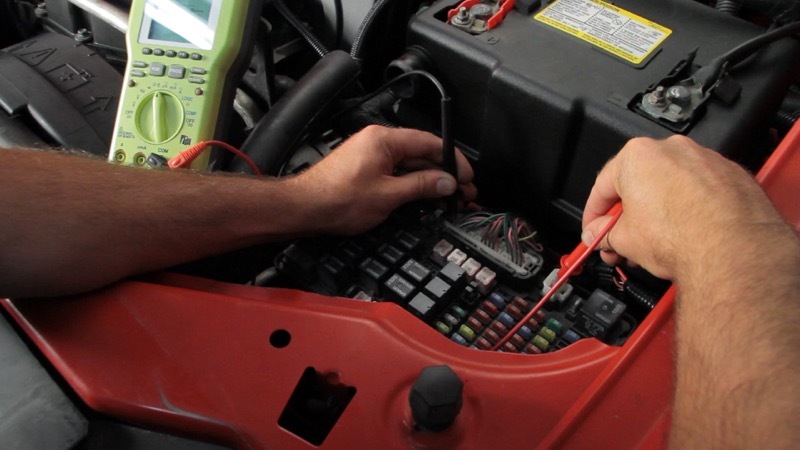 When a technician understands how the network functions, it actually makes it easier to work on the vehicle. Unfortunately, most shops are focused on swapping parts rather than training people on vehicle electrical networks. You may have heard someone say, “You need a dealer computer to properly diagnose, repair or reflash a vehicle’s computer.” Well, at Enormis Mobile Specialties in Erie, we have dealer-level computers that allow us to do everything a GM, Ford, Dodge, Chrysler or Jeep dealer can do. We are also an Alldata repair facility and all of our technicians are MECP-certified. MECP stands for the Mobile Electronics Certification Program – the most stringent testing on the market when it comes to vehicle electrical systems and diagnosis. Did you know that coming to Enormis will often save you money and time? Since our team can find the problem faster, you will have less labor involved with making the diagnosis. When you couple our high-quality diagnosis with the fact that you will only be replacing the bad part, not have someone haplessly throwing parts at it hoping to solve a problem or replacing something that isn’t broken, you will save money there as well.